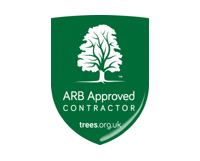 Totally Trees Ltd provides professional tree surgery services to Leicestershire, Warwickshire and Northamptonshire. We work to all current industry and British standards and pride ourselves on our very high level of customer care. We are just as happy working on a building site, domestic back garden or by the side of a busy road. So, whether its a small apple tree, massive Leylandii hedge, avenue of lime trees or graceful riverside willow tree we are happy to have a chat and see how we can help you and your trees.